Rohina Malik (left), Susan Stone and Kim Schultz. The three will perform in the “Arts on Equality” event Saturday. When tasked with creating an artistic response to Danielle Allen’s “Our Declaration: A Reading of the Declaration of Independence in Defense of Equality,” One Book One Northwestern Steering Committee member Rosie Roche said she used the opportunity to bring together Northwestern faculty from all disciplines of the arts. The “Arts on Equality” event will take place at various locations throughout Arts Circle on Saturday from 10 a.m. to 6 p.m., and features actors, authors, musicians, visual artists and dancers who will share their personal explorations of equality. Roche, who is also the program manager of Arts Circle, said she hopes the event will emphasize NU’s commitment to creating “cutting edge” art that sparks community dialogue. Schultz said she and Malik set out to humanize faith through storytelling in the aftermath of the 2016 election, and they have been touring the play since then. At the event’s “Authors on Equality” session, Asian American Studies and English Prof. Michelle Huang will moderate a conversation between authors YZ Chin (McCormick ’07), Jacqueline Battalora (Graduate School ’99) and Rachel Jamison Webster. The trio will also read from their recent works on race and identity. Chin said her debut novel, “Though I Get Home,” was inspired by real events in her home country of Malaysia, where censorship of political dissenters and mistreatment of LGBTQ individuals are systemic issues. She said she hopes her book provides insight on the universal struggle for equality. “Fiction and non-fiction — literature in general — can help promote the idea of equality, and help people be more empathetic and understand different points of view,” Chin said. Webster and Battalora are working on bringing conversations about equality to the non-fiction side of literature. Battalora will deliver what she refers to as the “TED Talk version” of her academic work on race in America. Her book, “Birth of a White Nation: The Invention of White People and Its Relevance Today,” examines the construction of “white people” and how that label fits into American culture and society across centuries, she said. Webster, who is the director of the English major in writing at NU, will read an excerpt from a narrative she is working on about her family’s mixed-race heritage, according to the Arts Circle website. Other sessions in the day include “Visual Artists on Equality,” “Dance on Equality” and “Music on Equality,” in which artists will explore equality through their respective fields. 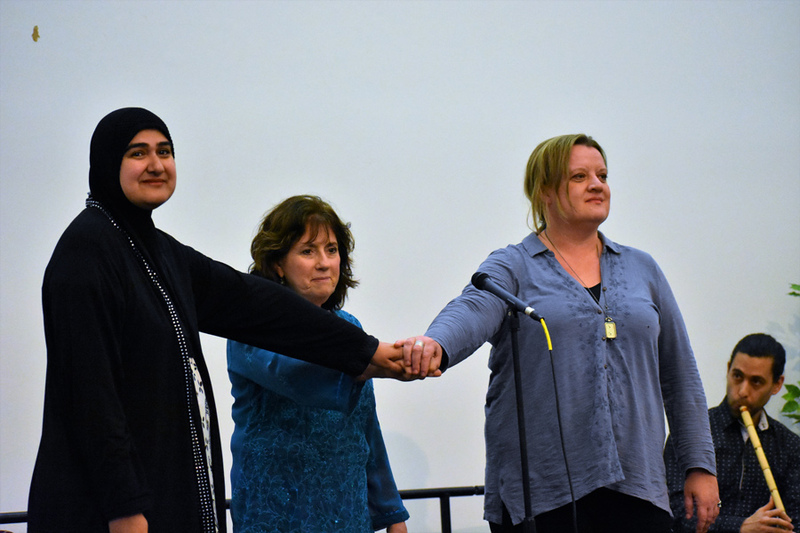 Schultz, the refugee advocate behind “Sisters of Story,” said she is eager to be a part of this multidisciplinary, activism-based event, especially for a college student audience.